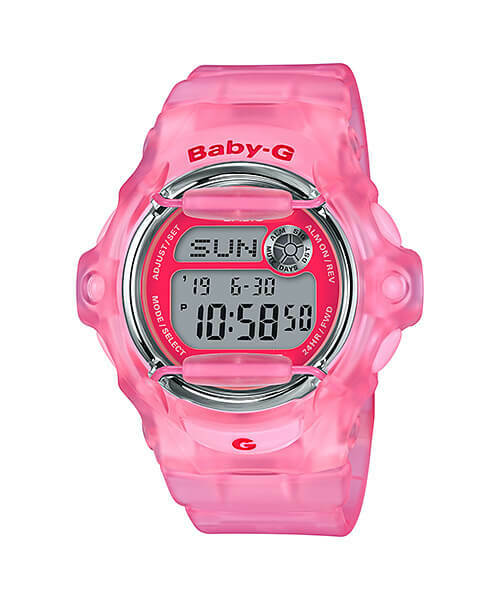 Casio Baby-G is adding two new models to its best-selling BG-169 line. 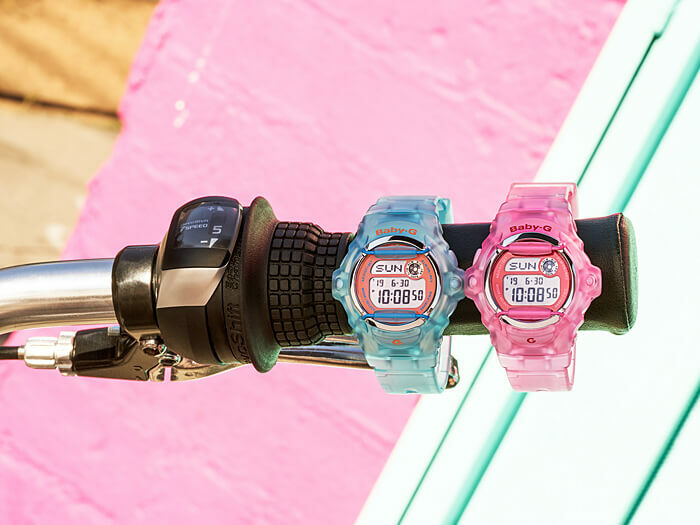 The BG-169R-2C and BG-169R-4E feature pop colors inspired by the games, music players, and cassettes of the 1990s. 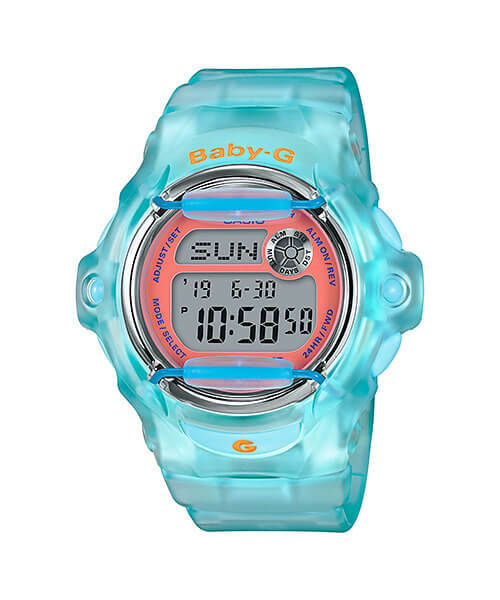 These watches have translucent bodies and bands with a matte finish. The blue BG-169R-2C has an orange face while the pink BG-169R-4E has a red face which contributes to the vivid and striking design. With a compact form factor, heavy-duty face protector, and 200-meter water-resistance, the BG-169R-2C and BG-169R-4E are ideal for water sports as well as casual street fashion. Other features include shock resistance, EL backlight, Data Bank 25-set memory (with 8-character name and 12-digit phone number), world time, day counter (to target date), 1/100 second stopwatch, countdown timer, and 5 daily alarms. 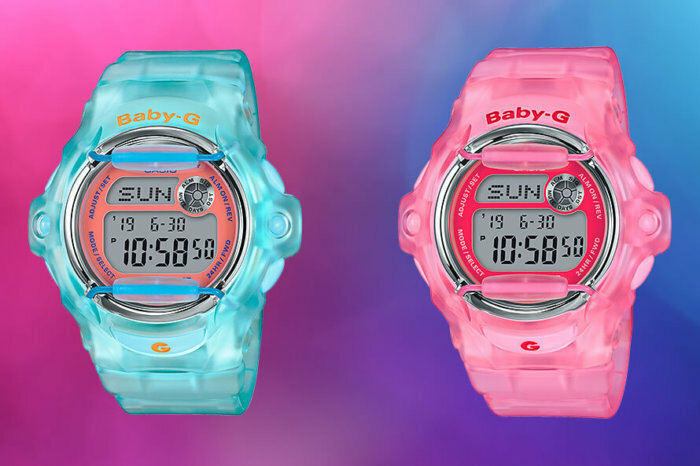 The Baby-G BG-169R-2C and BG-169R-4E are June 2018 releases in Asia and will likely get a wider release soon. Translucent blue with an orange face. Translucent pink with a red face.